Memorial plans have been set for late Senator John McCain. 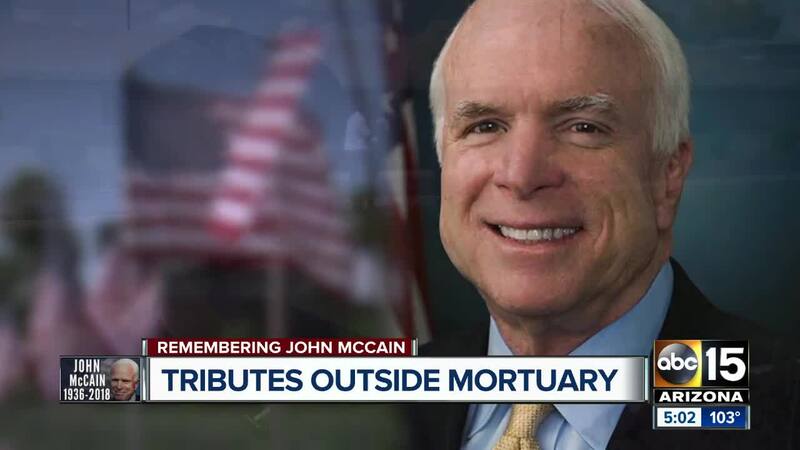 According to McCain's office, several different memorial events are planned in Arizona and around the country, some open to the public. Live streams of the events will be available online . 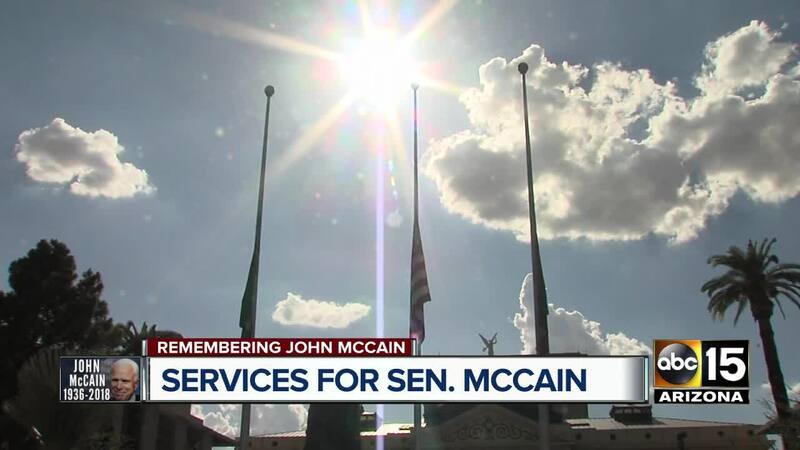 According to the senator's office, McCain will lie in state at the Arizona State Capitol, 1700 W. Washington St., on Wednesday, August 29. The public is invited to pay respects and honor his life and service. At 10 a.m. PST, a private and formal ceremony will take place inside the capitol rotunda. The public is welcome to pay respects from 2 to 8 p.m. PST. A memorial service will take place at North Phoenix Baptist Church, 5757 N Central Ave, at 10 a.m. PST on Thursday, August 30. A limited number of tickets will be available to those who request online. Senator McCain will lie in state at the United States Capitol in Washington, D.C. on August 31. The formal ceremony will take place at 11 a.m. EST to honor the senator's life and service to the country. More info regarding a public viewing will be announced as plans are finalized. A national memorial service celebrating the life of Senator McCain will take place at Washington National Cathedral on September 1 in Washington, D.C. at 10 a.m EST. Senator McCain’s family, friends, congressional colleagues, and staff, as well as U.S. and international leaders, have been invited to attend and participate in the service. Additional information on the events can be found here.